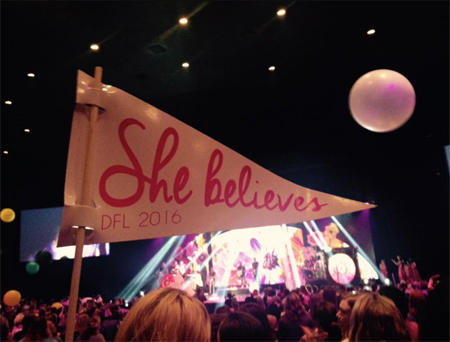 Over 13,000 women gathered over two weekends in Springfield, MO this month to take part in the unforgettable Designed For Life Conference (DFL). For several years James River Church has invited Mercy Multiplied residents to attend their impactful three-day event. 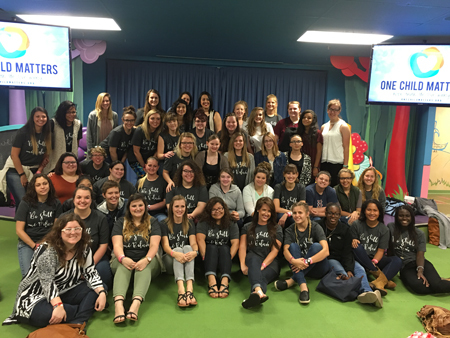 This year residents from our St. Louis, Monroe and Nashville homes travelled to Designed For Life. As always the weekend consisted of worship, teachings, fun and sisterhood. Before the start of the conference, James River Church hosted a special dinner for current and past Mercy residents, where they were presented special gifts, and a Mercy graduate shared her testimony. The Mercy residents were given VIP seating for the conference and enjoyed incredible worship to open the weekend. Lisa Harper spoke on a story from Mark 10, sharing that believing for healing requires a conscious action. She finished her time with an alter call for women to dedicate or re-dedicate their lives to Christ. Over 60 girls and women responded. Day two of the conference was a full day of worship and teaching from 9:00 a.m. – 9:30 p.m. James River Lead Pastor Debbie Lindell taught the first morning session entitled, “Believe.” She presented the question “What are you believing God for?” and then spoke on the importance of faith and believing in God’s promises. She introduced her new book “She Believes” and each attendee was gifted with a copy. Pastor Darlene Zschech spoke next about discouragement, insecurity and pain in difficult seasons. She encouraged attendees that each person has the choice to rise above their storms of life, rest in God and believe that He is in control. Following a lunch and afternoon break, the residents returned to James River Church for the final evening session with more worship and a message entitled “Suit up for Battle” with Sheila Walsh. She called for those in attendance to stand together, be authentic, and battle alongside one another. On the final day of the conference, Darlene Zschech and Sheila Walsh both spoke again. Darlene shared a special worship song, and Sheila vulnerably shared how she dealt with depression and suicidal thoughts. Sheila ended her session with an invitation for those dealing with depression and suicide to come to the platform for prayer. Several residents accepted this invitation. Before the final session, all Mercy staff and residents had a picnic lunch with Mercy’s Founder and President, Nancy Alcorn. 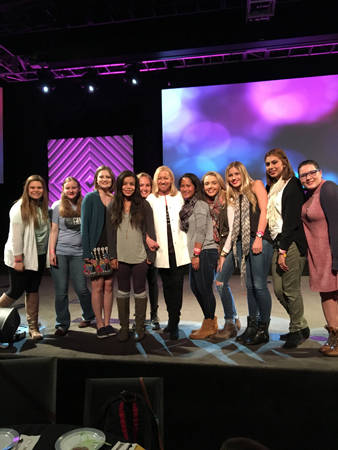 The Final Celebration of the weekend opened with a special gift from Debbie Lindell for each attendee followed by a pre-recorded message from Christine Caine. Christine encouraged everyone to see the needs around them and respond with action and compassion, rather than just talking about it. Pastor Debbie Lindell returned to the stage for the closing remarks, with music and balloons flying throughout the auditorium. The weekend was impactful for many of the residents who felt loved, challenged and encouraged. 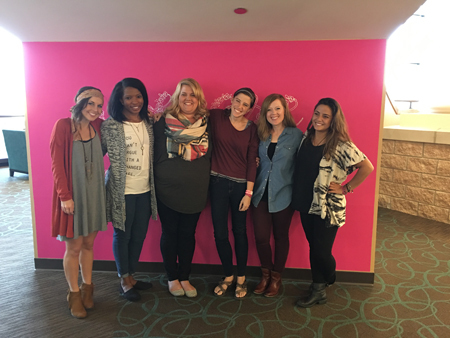 We’re so thankful for our staff who travelled to DFL with our residents! We’re so glad the Designed For Life Conference has become a part of many Mercy residents’ transformational journeys. If you would like to attend the 2017 Designed For Life Conference, registration is already open!